When the film starts, we're in Montreal, present time. A writer, Wilbur Gray (played by Peter Cushing), walks through dark alleys with a manuscript clutched tightly against his chest. He has the impression something, or someone is following him. False alarm? Maybe not. There is indeed a cat that's keeping an eye on him. When he arrives at the house of his publisher, Frank Richards (Ray Milland), he isn't pleased to see another cat sitting on the sofa, though we have no idea yet why this is supposed to be a problem. Wilbur then explains that he has written a book about cats. “They're watching us, spying on us, making sure that we behave,” he says. Though Frank considers publishing the book, he wonders how they can prove that the events from this book are accurate. Maybe the public isn't ready to hear the truth. As proof, Wilbur tells us three stories in which cats have murdered humans who deserved to die. The first story takes place in London in 1912. A senior crazy cat lady, Miss Malkin (Joan Greenwood), is bound to her bed. A notary visits her so she can change her will and give all her money to her cats instead of her unreliable nephew, Michael (Simon Williams). She says the cats are the only ones who have ever been faithful to her. It turns out her nephew is indeed after her money. Together with Miss Malkin's pretty servant, Janet (Susan Penhaligon), he concocts a plan to make the new will disappear. When she tries stealing it from the safe, Miss Malkin catches Janet in the act, and Janet kills her. It is then that the cats attack. She's driven into a room and, with the animals guarding the door, is left there to starve. When she eventually comes out after several days, the cats are still there. But they haven't forgotten what Janet did to their owner, and they won't let her leave the house alive. The second story of The Uncanny takes us to the province of Quebec in 1975. The little Lucy has just lost her parents, and, together with her cat, Wellington, takes up residence at her aunt Joan's. Not only are Lucy and Wellington a burden to her aunt and uncle, her older niece, Angela, bullies them, too. After Angela tells a lie about Wellington which results in him being taken to the vet to put to sleep, Lucy decides it's time for revenge. With the help of witchcraft and her cat (which has apparently returned from the dead), Lucy shrinks her niece to the size of a mouse and her mother unknowingly tramples her. The third (and least interesting) story is set in 1936 in Hollywood. An actress, Madeleine (Catherine Bégin), is killed by the pendulum from the horror movie in which she acts after her husband replaces the fake blade for a real one. Her double, Edina (Samantha Eggar), then takes her place, not only as the actress in the film but also as the new lover of her husband (Donald Pleasance). Madeleine's cat will make sure that Edina's fate will be similar to that of her owner. In the end, all these stories come together, and both Wilbur and Frank will find out whether cats are truly uncanny or not. Also known as The Cats Killers, Brrr and Les chats du diable, this last film by Canadian director Denis Héroux is similar to the horror anthologies that Amicus Productions released in the seventies. 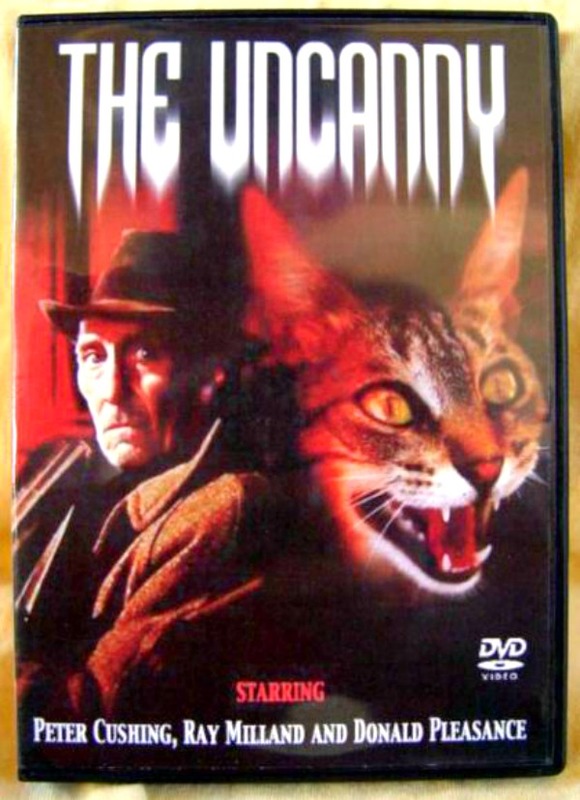 Despite its predictability, The Uncanny is highly entertaining and, in my opinion, the best killer cat movie there is. Unfortunately, the film didn't do well at the box office and hasn't yet been released on DVD and Blu-Ray. However, the film is currently available in its entirety on YouTube if you'd like to see it. 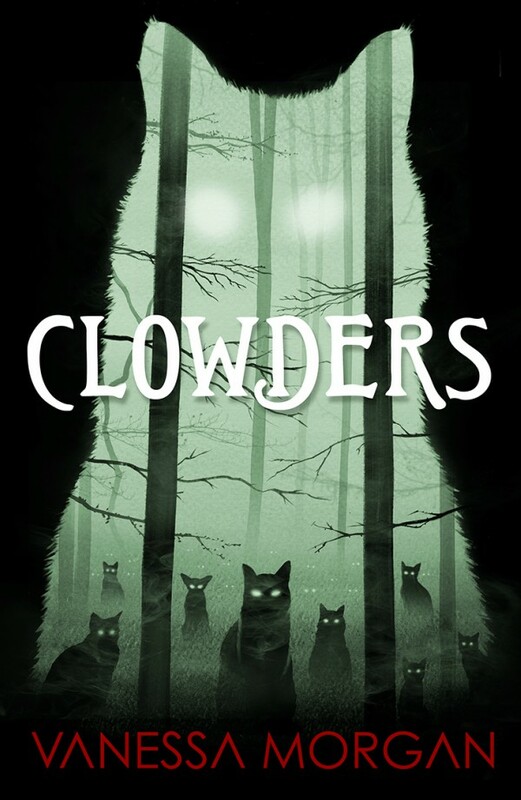 And, of course, don't forget to pre-order your copy of Clowders. The book will be released March 1st, 2018, but if you pre-order it, it's only $0.99. After the release, the price will go up. I'm sure The Uncanny is really cheesy now. Bet your book is a lot better! Oh man! I need to watch this on YouTube! Thanks for the info. What an interesting film! I'm assuming it's an old Hammer House of Horror one. I'll see if I can find it to watch on an evening where the cat is safely out of the house! Hello, The Uncanny is new to me. Sounds like an interesting movie. Thanks for sharing, I will check it out. Love the images and posters. Thank you for linking up and sharing your post. Happy Saturday, enjoy your weekend. I really enjoy this film ever since I got familiar with Mr. Cushing's body of work. The Ghoul and Hammer House of Horror tv series include some of my favourites of his performances. I'd love to read about them here. This is one of the best places to read about films... thanks for posting. I remember that movie! I think I saw it once, years and years ago. May be time for a revisit. Congrats on the new book...love the cover...and thanks for the giveaway! h for locales, for example, Netflix who give movies to lease online to a level month to month expense. I truly value this superb post that you have accommodated us.check this website I guarantee this would be helpful for a large portion of the general population. Superhuman motion pictures are not something new, they have been around for a considerable length of time returning to the 1940s with any semblance of "Undertakings of Captain Marvel", "The Phantom" and "Superman". Most associations can download an entire film while you watch it making it a simple method to watch movies. watch series free There is a worry about watching movies.